The 2011 draft was supposed to be the “one,” the draft that kept it all going. After all, the Royals had already been named by prospect hounds everywhere as having the best-ever farm system earlier in the year. During that 2011 season, Eric Hosmer, Mike Moustakas, Salvador Perez, Johnny Giavotella and Danny Duffy were all graduating from the prospect ranks into sure superstardom and eventual World Champions some thought. It was the 2011 draft that was to continue the prospect momentum with the franchise operating at a trim payroll and the draft system changing in 2012. Dayton Moore had positioned new scouting director Lonnie Goldberg to spend a Royal’s all-time high amount on what was considered a deep draft stock. They did just that spending in the neighborhood of $14 million dollars, a franchise record, with the bulk of that money going to Bubba Starling and seven other players. While Starling was the sure-fire star, there was one pitcher among the four who they spent over $500k on that stood out in Bryan Brickhouse, the 3rd round selection and new $1.5m bonus baby. That bonus was equal to the largest that Dayton Moore had given 1st round pick Aaron Crow year prior, the highest a pitcher had been given by the GM if you choose to believe that Luke Hochevar wasn’t a Moore pick. It was Starling and Brickhouse as well as the younger players in the system that consisted of Cheslor Cuthbert and Jorge Bonifacio among a few others that were supposed to lead the second wave. The Royals at that time had a pretty specific plan with their newly drafted pitching prospects. With the one exception of Tyler Sample, the pitchers selected in the year’s previous draft would head out to full-season Low-A ball in Burlington, IA or their new home at the time in Kane County after the midwest weather would thaw. It was a plan that into 2012 looked as if it had worked quite well for Mike Montgomery, John Lamb and Danny Duffy with all three pitchers becoming big name prospects and appearing to be the proper plan for the newest prep pitcher Brickhouse. 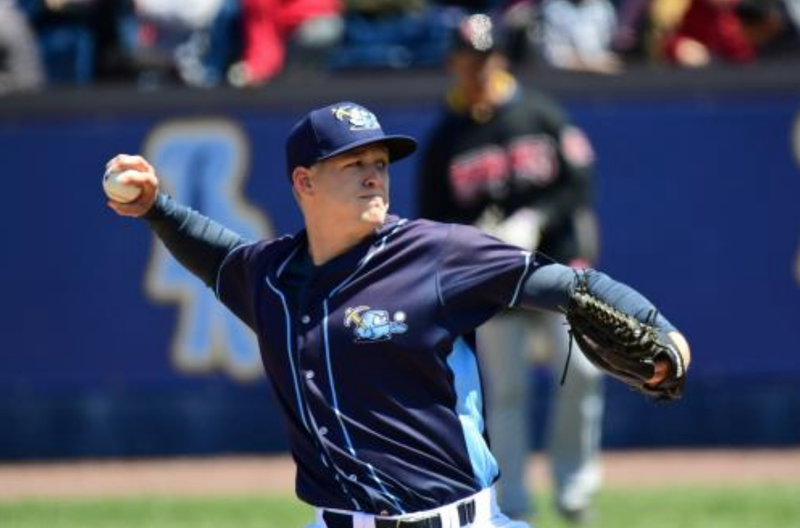 An assignment would come to Kane County in June after a tune-up start in Idaho Falls and while the results were less than spectacular, the hard-throwing prepster made 11 starts on the year while tossing 53 innings to get his feet wet in pro ball. The first step on a long road for what the Royals hoped would end in the big leagues. The road up until the draft had been paved by Bryan’s work ethic in his Texas home. Working alongside his friend Jameson Taillon, the two threw with their throwing coach Dave Evans, a pitching coach who had helped Taillon become the 2nd overall pick in the 2010 draft, sandwiched in between Bryce Harper and Manny Machado and build Bryan’s draft stock a year later. 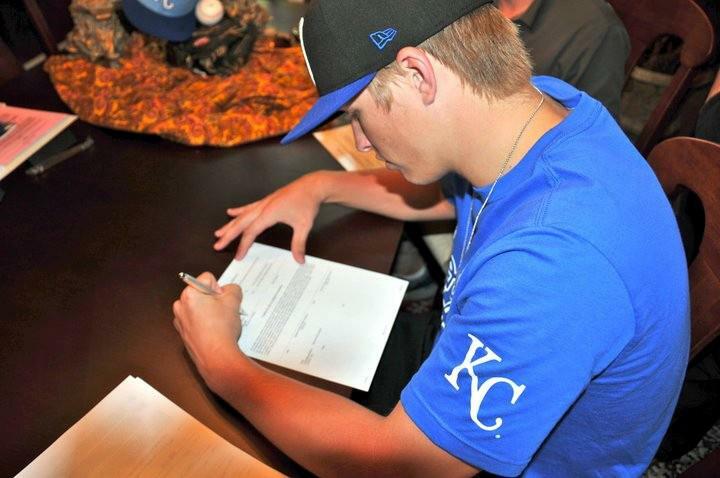 Brickhouse had followed a similar path as Taillon and earned a life-changing bonus before heading off with his new Royals family. As was the case with a lot of pitching coaches at that time, they helped the players build their talent and then lost contact when the new team took over. Things have changed somewhat but it made some sense at the time that the high school pitching guru would yield to the professionals and their pocketbooks once players were established with their new teams. The newfound developments of pitching training were in their infancy and Brickhouse working with Evans wasn’t a disciple of the long-toss revolution that Trevor Bauer and Dylan Bundy had talked about so much prior to that year’s draft. After a season in Kane County, Brickhouse headed back to Low-A, this time with the Royals new affiliate in Lexington. After a good start that saw Bryan yield more than two runs in just two of his first eleven starts, Brickhouse would tear his UCL, causing him to get Tommy John surgery in June of 2013. It would be at this point where the problems would really start for the Royals young pitcher. 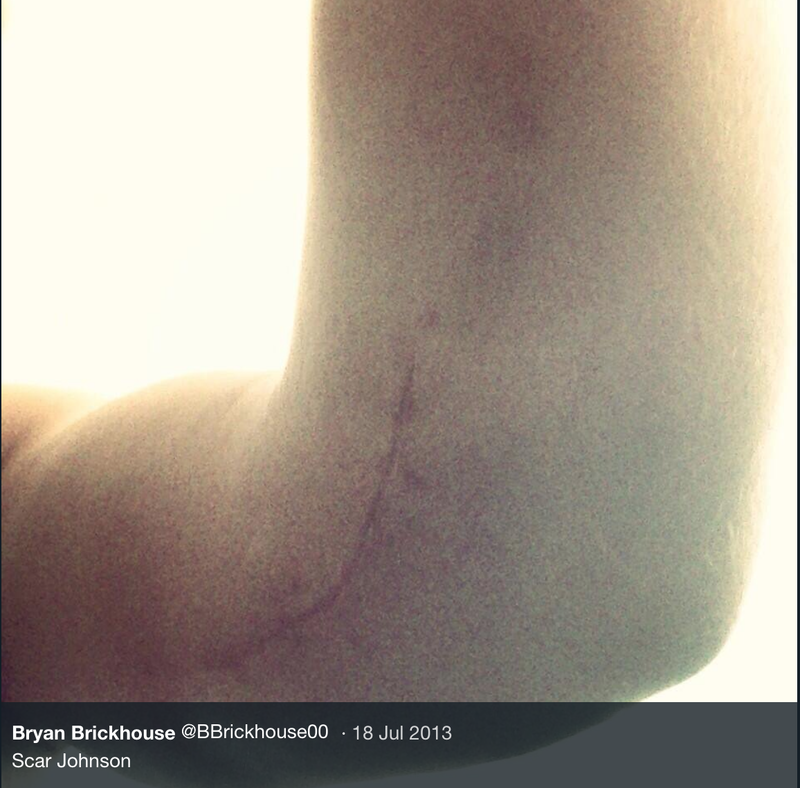 During that rehab process of his Tommy John surgery, Brickhouse would encounter an olecranon stress fracture, forcing a maintenance plan to be taken to help work through the tiny crack in his elbow, delaying his timeline back from the UCL tear. The recovery time from that fracture pushed him through August of 2015 before he saw the mound again in Arizona and Idaho Falls prior to what was supposed to be a stint in the Arizona Fall League. The intensity of the Fall League forced a blowout of the elbow which required a screw be placed in his elbow in November of ’15. After surgery, rest and another rehab process, Brickhouse stepped back on a mound for the first time and immediately blew out the elbow again. This time it would cause a larger stress fracture that would again need a screw placed into the elbow and another stint on the DL and back into the Arizona rehab process. Over the course of three years, Brickhouse had torn his UCL, developed a tiny crack in the elbow which eventually led to multiple screw surgeries while pitching just 43 innings. After the second screw surgery, Brickhouse healed 100 percent, but the weakness of the bone in the elbow from multiple surgeries was causing extreme pain, making it difficult for him to get through a simple 25 pitch bullpen. After three years of trying to get healthy with rehab and the frustration and mental toll of the constant rehab process he felt it was time for him to take a step away after spring training of 2017. Away from the game, Bryan got his real estate license and prepared for life a new calling. After three years of doing mostly rehab and lower body work, he thought he’d work on getting in better physical shape since he no longer had to worry about the arm. Without that worry, he decided to start lifting, something he hadn’t done much at all during the rehab, as well as working on more stretching exercises including yoga. He still had the elbow pain, but he didn’t need to worry about it as much without the throwing routine. Slowly as he lifted more and more with different lifting techniques and stretching the pain started to lessen as he believes the lifting helped build that bone density and strengthen his elbow. The combination of better nutrition while cooking at home, eating smaller portions and doing a full range of body workouts helped him lose 35 lbs. All of this had him feeling better while his elbow felt at a level it hadn’t in over three years. With that feeling came a thought that it was a good time to reach out to his former throwing coach Dave Evans for one last shot at reaching for his dream. Despite all the obstacles that Bryan had encountered over the previous three years, the desire to make one last push of pitching in the big leagues was still there but he knew his old pitching coach would be the only one who could help him reach that goal. By this time in his career, Dave was a full convert to the advanced throwing practices you see from so many pitchers in the current game, using Driveline practices with weighted balls, long-toss and mapping of the arm motions to help get the most out of his pitchers. Working from Houston, Evans hadn’t followed Brickhouse’s path or known what he was encountering. After driving to meet late one night and having recounted the story Dave asked the one question on everyone’s mind: “Why would you wait so long to contact me?” Now knowing what was at stake, and feeling Bryan’s determination to push all-in, Dave let him know he wasn’t going to let him fail and he was ready to help him if Bryan was willing to follow the plan and be as open and honest about his recovery as possible. The first thing they did together was to play catch to try to determine the arm motion that Brickhouse was working with. Almost immediately, Evans noticed what he was taking the arm too far back in an effort to try to accelerate the arm too soon and then coming inside the ball with extra pronation or hyperextension at release to try to create an extra deceleration pattern almost as if he was trying to manipulate the ball from the inside of the grip to push it outwards. Bryan believed this pattern may have been created following his initial Tommy John surgery in a subconscious way to try to protect his elbow. 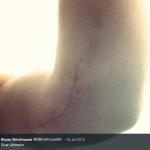 According to Evans, this movement was putting extra stress on the elbow as it was causing the joint to bang together and would likely result in reinjury if it wasn’t corrected immediately. This motion wasn’t new to Brickhouse as he had been told in playing catch previously that the ball had this type of action, a similar action and sink had occurred on his changeup in throwing sessions but Evans video and mapping made it evident how much damage it was doing. A plan was devised using weighted balls in various weights from as low as 3.5 oz underload balls to balls as heavy as 2+ lbs was developed in addition to long-toss that would eventually grow to an accelerated long-toss of 300 feet or more, and daily throwing with remapping and reeducating the pitcher’s mind together with video among other things. With so many variables for an arm with multiple surgeries, previous pain and screws inside some may have been scared by this idea but Bryan never balked at the plan and never wavered or missed a day of throwing. Implementing the changes took a little over a month to get where he was able to use his muscle memory to enforce the changes and get the feeling for the motion using more of a supination movement in the throw. This started in late September and within three weeks the mechanics were starting to take hold. An extremely hard worker, Evans said that trying to make him not overwork and overthrow was the only hiccup they would encounter in this process. The feel from the reworking and remapping though was taking place and in those instances, Bryan was able to catch it and self-correct. There was milepost along the way for the pitcher, first having no pain despite throwing daily something he hadn’t felt in years previous to his Arizona rehab stints, reaching that 300 feet long-toss point, getting on a mound for the first measuring point and throwing 93-95 mph with no pain that day or the day after. One of the major milepost moments along Bryan’s path came in late November at the Houston area training facility. The Royals had an open invitation on the table for him to return to spring training, but on this day, Lonnie Goldberg and a few area scouts happened to be at the facility checking out draft prospects for the upcoming 2018 draft. In front of the man who pegged him with that 3rd round selection in 2011, Bryan was physically in the best shape he had been in over three years and hitting 95-97 mph in a bullpen session, showing it off and “letting it eat.” The milepost moments for Brickhouse kept coming, hitting 98 mph with many current major leaguers at a throwing session prior to leaving for Arizona, still healthy he was determining his future goals with the Royals again. The two major goals for that spring training season were to hit 100 mph and land a spot with a full season club, something he hadn’t done since pitching with Lexington in 2013. The Royals knowing the work he had put in, made no changes to his routine just asking him to be cautious. He quickly blew them away during spring training, achieving both of his goal of landing a spot on the full season Wilmington roster, a level he had never previously reached, and hitting 100 mph a few days prior to heading out with his new team. All of this while still feeling no pain. His body is propelling the arm and his career all at once and it all seems to be in place with the results speaking for themselves thus far, striking out eight hitters over four one-inning relief appearances and no hits allowed. For some, just getting back to this point would be an outstanding and a worthy accomplishment but for Bryan, this isn’t the end nor the goal he set out to achieve and considering the minefields he has already traveled one thinks he’ll be wearing Royals blue very soon. Baseball has been my brother’s passion for as long as I can remember. That passion is why he is the best at what he does! I couldn’t be more proud of him. This shines through with his perseverance. Thank you for the comment.